Sarum Bee Supplies of Salisbury, Wiltshire for all your beekeeping requirements with bee training courses available. 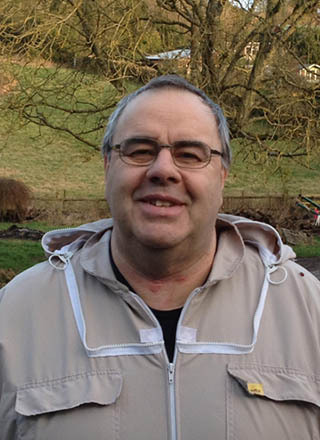 Sarum Bee Supplies is a small family company located in rural Wiltshire, run by enthusiast Kevin Horner, who has considerable experience of beekeeping. Kevin manages the bees and is assisted by his son Robert, whose help is invaluable when heavy supers or equipment need to be transported. Kevin's wife Mary also helps with the business, bottling and labelling the annual honey crop. Kevin started keeping bees over twelve years ago when he bought two hives from an elderly gentleman who was scaling down. Little did he know then, that those two hives would transform a childhood fascination with the honeybee (and a life-long love of honey!) into a passion to breed the best bees: which ones give the best honey crop and at the same time are gentle to handle. 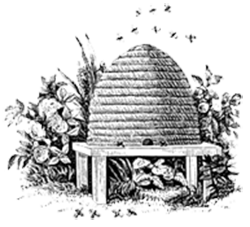 The business now has in excess of fifty colonies spread in various apiaries across the South of Wiltshire. Some of these colonies are moved to selected areas to collect honey from some of the more unusual flowers of Wiltshire and its chalk downland and then into Hampshire to collect heather honey from the New Forest at the end of the summer. 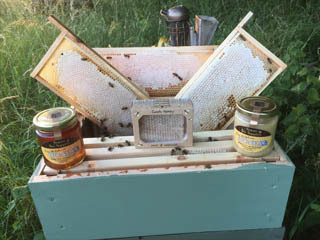 The remaining colonies are chosen for the raising of selected queens to make up Nuclei of bees that are offered for sale to new and existing beekeepers. Sarum Bee Supplies also sell queens both locally and by post anywhere in the UK. After the recent media interest in the plight of the Honeybee Kevin found himself being asked about the pastime and what was involved in taking up beekeeping, Kevin started offering taster courses two years ago. These courses are still offered (at the right time of year) and provide an introduction to the basic principles of beekeeping so that people can decide whether their expectations match the realities! Kevin is also preparing courses on other subjects that will be offered in the near future. All course dates will be listed on this website, but for more information email us at info@sarumbeesupplies.co.uk . Sarum Bee Supplies can supply anything from a queen in a cage with workers, through to a full starter kit to equip a new beekeeper for their first year with bees. This is backed up by advice available by phone and email if needed. The company also supply National equipment in both standard and 14x12 formats, although they can be supplied to meet the individual needs of the beekeeper. All hives are made from top quality Western Red Cedar and come ready assembled. Sarum Bee Supplies is also an agent for the popular BBwear range of beesuits and safety equipment. Many of the BBwear products can be added to any order to complete the range of equipment that is required to get started and discounts are available. Visit our Shop for full details of all the beekeeping products Sarum Bee Supplies can offer. If you cannot find what you need in the shop email us at info@sarumbeesupplies.co.uk and we will do our best to help. Copyright © Sarum Bee Supplies. All rights reserved. Visit Sarum Bee Supplies on Facebook. Also Tweet Us on Twitter! supply anything from a queen bee in a cage with workers, through to a full starter kit to equip a new beekeeper for their first year with bees. is a family firm and specialises in providing beekeeping equipment and queens to beekeepers in Salisbury, Witshire. spread in various apiaries across the South of Wiltshire. Some of these colonies are moved to selected areas to collect honey from some of the more unusual flowers of Wiltshire and its chalk down landscape. and Kevin Horner is a beekeeper with over 12 years experience. Phone today for more information.